Models wanted to bring characters alive within fine art narrative shoots. Characters range from specific planned out backstory to anonymous and faceless characters for print creation. 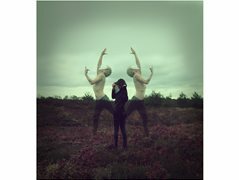 I am recent graduate photographer who specialises in fine art conceptual photography and I am looking to work with new people and make quite interesting and atmospheric images. The point behind my work is to bring a narrative, story, or character to life which i build both around my own personal context as well as the individual I shoot. I am also looking to collaborate with new people and expand my network. Ideally the right person will want to break the mould of a photoshoot and be part of something different as well as be open to pushing themselves in terms of creating an image. No experience Required, Just a desire to work on something very creative and a willingness to push the boundaries. Actors and Actress for Short Film "Infatuated"